Mercedes have created a new front wing for the W10 and were looking to use it at the Chinese Grand Prix this weekend. However, it has been reported that the FIA has deemed it as being illegal. 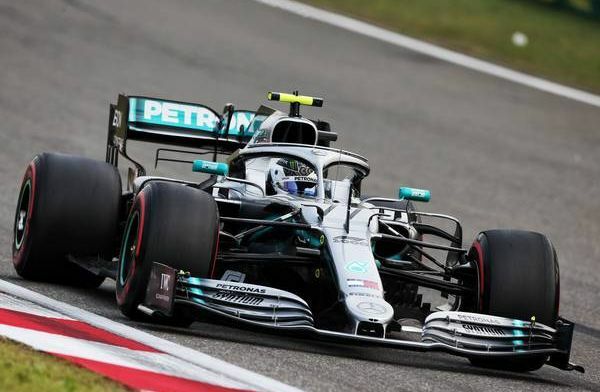 Auto Motor und Sport’ Michael Schmid reports that Mercedes has been forced to change their front wing as it does not fit to regulations. It is thought that the end plate has bee cut away too much and the rules state that the end plate must completely cover the flap when viewed directly from the side. Mercedes used the 'illegal' front wing in FP1 and FP2 which they are allowed to do as long as it is not used in qualifying or the race. Mercedes are not the first team to be told that their front wings are illegal. In the first two races this season, both Red Bull and Williams were told that their front wings were illegal. It is likely that Mercedes ran the illegal wings to see the effect of this design and if the effect can be created by a different method. Guess Ferrari tip off to FIA Had the wing declared Illegal. Bruce Harre.